Yet again I've let the news build up to the point where the only way to tackle it is via a mammoth post. So without further delay, let's have a brief look over what's been happening over the past week in the retro and indie gaming scene. More detailed reviews of select releases to follow soon. We originally mentioned NG:DEV's Gunlord when the game was first announced back in May this year. After months of waiting, the game is finally available for pre-order for both the Neo-Geo (AES/MVS) and Dreamcast, with a release planned between late 2011 to early 2012. If the new nine-minute game trailer is anything to go by, Gun-Lord looks to be the solid Turrican style blaster that we were all hoping for (complete with lightning-flash style cannon and familiar morphball attack). Could this be the indie publisher's best game to date? The trailer may initially seem a bit underwhelming in comparison to Fast Striker's eye-popping visuals (the voice narrating the background story over static images is particularly hammy, but give it a chance) and the price tag is perhaps a little steep (32 Euros for the regular DC edition and a whopping 400 for the MVS/AES! ), but regardless - there's nothing we love more at RGCD HQ than a bit of no-nonsense run 'n' gun fun, so our purchase is already in the bag. Expect a review when the game is released. In the first of a series of critical retrospective features, RGCD will be looking back at some of the classic homebrew releases for both modern and retro platforms. 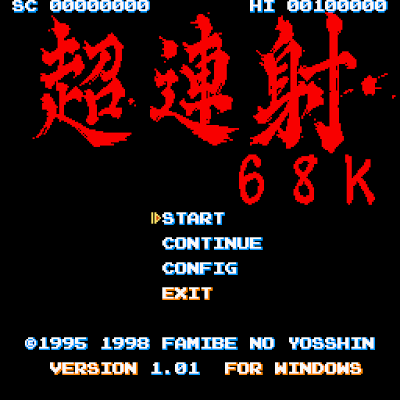 In this first article, Sven 'ptoing' Ruthner takes an in-depth look at Yoshida Koichi's classic shmup ChoRenSha68K (particularly it's undocumented features and game modes) 16 years on from it's original release. I have read my fair share of more recent reviews of ChoRenSha and what many seem to forget is that this is not a release from 2001 or 2005 or whatnot, although that is the time when it became popular in the West due to the internet making Eastern doujin games available to a wider audience of players. In fact, the original version was actually made in 1995 for for the Sharp X68000 (hence the 68K in the title), and if you look what was in the arcades around at that time it holds up well, especially since this was essentially a one man effort. Apart from the (excellent) music which was made by Ruzarin Kashiwagi, everything else was made by Yoshida Koichi himself. 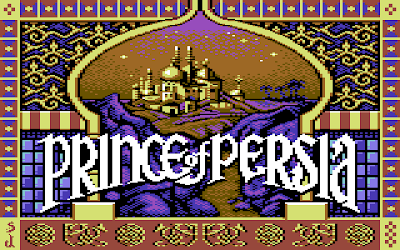 Nine days ago, Andreas Varga (aka Mr. SID) announced that he'd be releasing a C64 conversion of the classic Apple II version of Broderbund's Prince Of Persia - and today he delivered on his word, with a near-perfect port freely available as a cartridge image in the popular EasyFlash format. It's an awe-inspiring achievement, although arguably being one that perhaps wouldn't be quite so impressive if it wasn't for a little bit of help from the 21st Century hardware required to run it on a real machine. For those of you who haven't heard of EasyFlash before, basically it's a 1MB flash cartridge for the Commodore 64, with the bonus being that it is entirely programable from a standard system with a disk drive - it's relatively user friendly with no UV lamp or EPROM programmer required and it's cheap to build yourself or buy online. Now that's all well and good, but until now use of the device has been limited to replaying old cartridge games and the occasional enhanced crack. 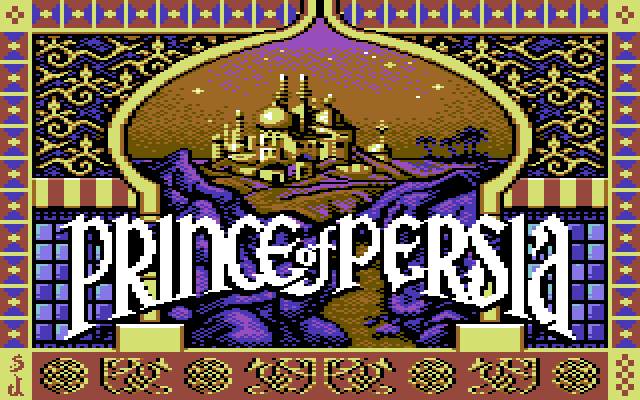 However, with Prince Of Persia - a game specifically written for the EasyFlash - it's true potential for releasing new games that wouldn't be feasible in other media formats has been realised; EasyFlash now has it's killer app. ...Or perhaps not. 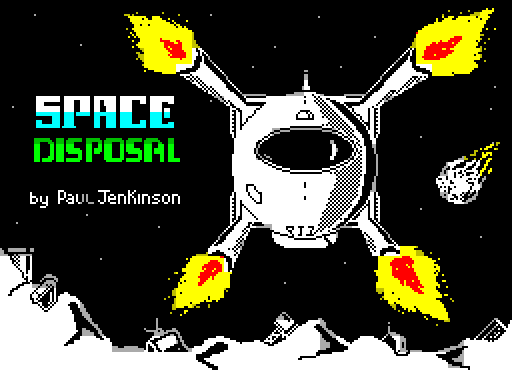 In fact, despite being developed using the more-than-slightly sluggish AGD, Space Disposal is actually quite a lot of fun. Unlike Paul's other recent game (which looked quite nice but was tedious to play), this one actually features some solid design and decent gameplay - as well as looking and sounding good. Now where is that humble pie? I suppose I should have a slice with my afternoon cup of tea. I haven't posted one of these competition updates for a while, but that's not because there's been no activity! On the contrary, our good friend Tim Harris has been testing previews and test builds on real cartridge hardware on a near daily basis. So with just over a month and a half left, let's have a look at the development status of the entries. Zombies and running are subjects that fit together very well; you have to do one to escape the other, for instance, and one of these two things can't do the other thing at all (cue internet fight over Fast Zombies™). And of course without raising the dead there would be no zombies to run away from, or to shoot in the face. With this in mind I'm grave robbing some releases from a staggering six months ago, one a complete game and the other a work-in-progress that seems to be cooling its heels in development limbo. Leg It and Zombie are games in the style of 1980/90's LCD handheld games like Nintendo's Game & Watch series; Leg It is a finished product now, with its gun toting brother Zombie still in beta - both of them were made available for download in March and April respectively but there seems to be little internet chatter about them, and Retro Remakes only picked up on them in the first week of this month (this is the bit where I'm trying to convince the Ed that this is worth publishing, by the way!) and good indie games could always do with a little extra publicity. 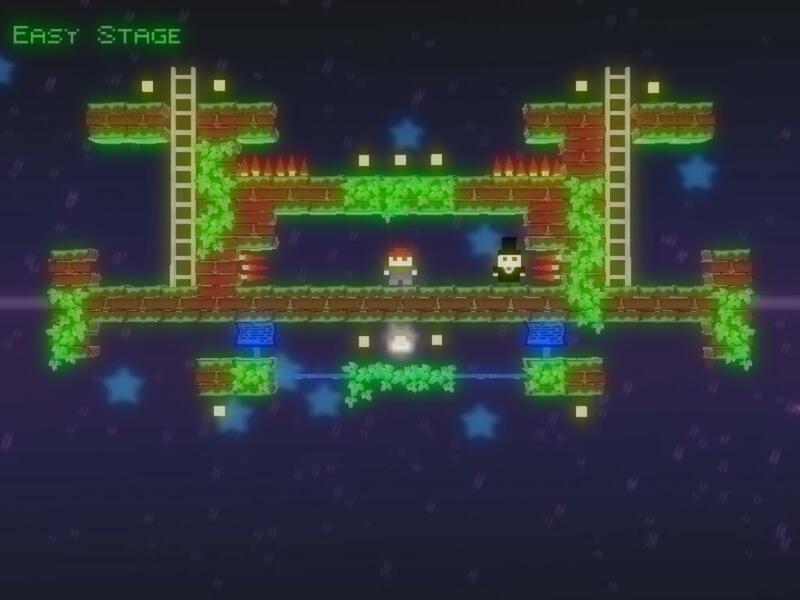 RetroSouls' world-rotating platformer 8-Bit Night (formally known as 8-Bit Story and MegaRunner before that) has finally been released on the PC... But hang on, something about this game feels very familiar, doesn't it? That's right - regular RGCD readers will recognise that 8-Bit Night is essentially an enhanced PC conversion of Alter Ego, a game that the same developer (and later Shiru) released for the ZX Spectrum and NES to pretty much universal acclaim. 8-Bit Night is a game built around a simple, yet previously unused mechanic. 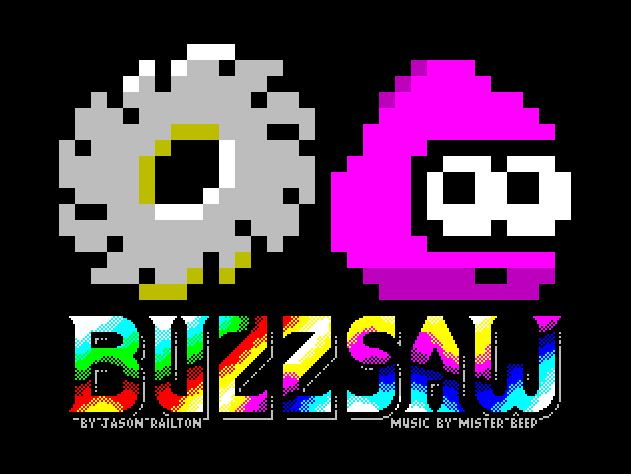 On a base level it's a standard retro platform romp (which is where I imagine the 8-Bit of the title comes in) - your little man must collect all the glowing 'pixels' on each level whilst avoiding spikes, nasties and falling to your death. Same old, same old. However, the special trick here is the addition of a ghost character whose position and movements mirror yours on the opposite side of the horizontal (or vertical) axis across the centre of each level. 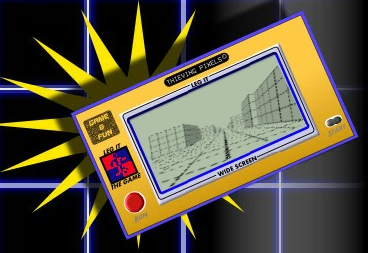 Pressing the action key or button flips the world and swaps your position with the ghost - enabling you to reach areas (and pixels) that were previously inaccessible. Also, some pixels can only be collected by your ghost character, whereas others are limited to one particular axis, resulting in some top quality puzzle solving fun. Let's get this straight - Han shot first and ET's pursuers carried guns - but the jury is still out on Deckard's voice-over/the happy ending/whether he was a replicant. 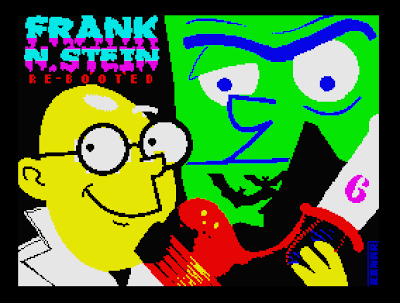 So what should we make of this revisionist-history re-work of the 1984 ZX Spectrum game Frank 'n' Stein? Upon its initial release this game was one of many games that could trace their heritage to Donkey Kong and Miner 2049er. The player is asked to guide Professor Stein to collect (in order) the items required to build his monster. Baddies follow fixed paths and hinder progress, and a timer ticks down. So far so Miner Willy. The difference here is that our hero has no 'jump' button, but rather has to use the action button to trigger poles, springs and teleporters in order to navigate between platforms and avoid death-by-surreal-baddy. Other special floor tiles either slow down, or in some way impede the Professor's progress. 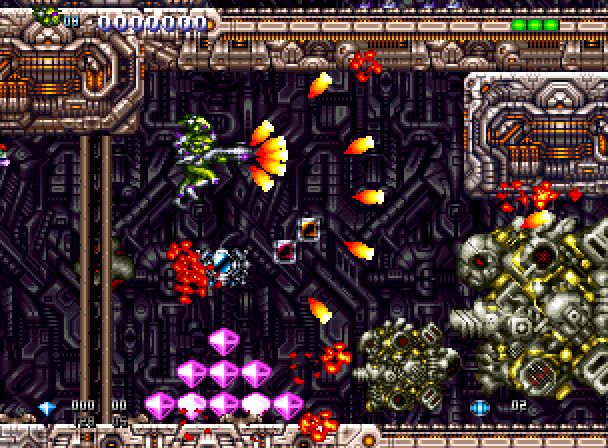 Firing projectiles along parabolic arcs from a fixed position to blow stuff up is a fine starting point for any game. The experience is made even better with a variety of different munitions to sling at the target. Rust Red Games' Brainsplode! certainly hits these two targets, with its entertaining, challenging brain-blasting gameplay. Blowing up alien brains with shots fired from a fixed cannon is the name of the game here, and while at first glance it seems like a straight up artillery game the puzzle elements thrown into the mix add a surprising depth of play which pushes Brainsplode! over the line from entertaining to addictive. Well, I was waiting for it to happen, and it finally did - PC demo gods Farbrausch finally got their own games division, called Gamebrausch. I had some conversations on IRC with one of their members (gizmo) a year ago and he seemed eager to do this, so I'm glad he finally got it started. This is what the RGCD cart development competition is all about - encouraging new groups with a fresh perspective to code new games on the C64. H Macaroni of Goin' Sideways has been recently keeping me up to date with the development of their debut game project Panic Analogue, which has now reached a stable, near finished preview state (with just a few tweaks and minor bug fixes to go). I know that I've been getting hyped about pretty much every game announced so far, but in this case the excitement is particularly well-deserved. 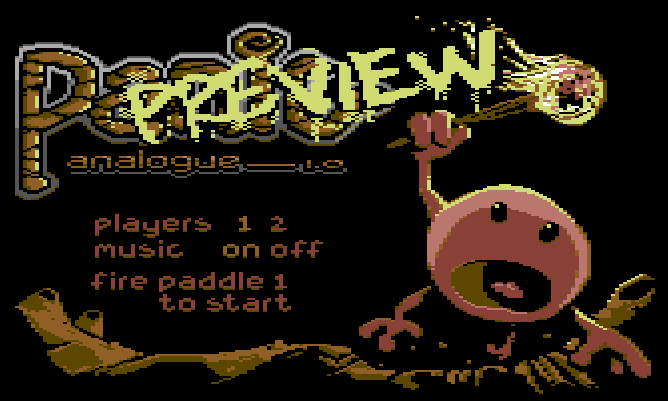 Another title that only just squeezes into the limits of a 16KB cartridge, Panic Analogue is fast-paced game of skill for one or two players, with the unique selling point being that it's one of the very few C64 releases designed around the use of analogue paddles; they're not just supported, they are actually required. When I heard about this I was initially wary due to the scarcity of C64 paddles, and recommended that joystick support should be incorporated. "Believe me," came the reply, "we have discussed that subject, but are absolutely certain that if joystick support was added it would be a great disadvantage for the game! People would try it, and throw it in the trash. These kinds of games are impossible to play with a joystick when you get to the higher levels, since you really need the speed of an analogue controller. We know that by making a paddle-only game a lot of people won't be able to try it easily, but hey, if we wanted to go for the widest possible audience we would code some iphoneapp. And think about all the (20?) people around the world who are sitting with their paddles and waiting for new paddle-games - we are fighting for them!"